Undiscovered oil and gas leaks cause irreversible damage to marine ecosystems. In the past, there was no technology available to collect and display real-time information about the situation of water. It was especially difficult to gather information in extreme weather conditions. As a result of a clear need and joint interest, the Norwegian company ICD Industries and LDI Innovation from Estonia cooperated to develop an oil spill monitoring system that works in real time. Sergey Babichenko, the Board Member or LDI Innovation OÜ and of Ocean Visuals AS (the joint enterprise of the two partners), explained in greater detail how the two companies came together to create a real-time oil spill monitoring system. How did your company end up participating in the programme? At the start of 2013, LDI Innovation (Estonia) and ICD Industries (Norway) discovered a common interest in creating a marine monitoring system based on innovative photonics (LDI Innovation) and sophisticated information technology (ICD Industries). In March of 2013, we participated at the opening workshop “Green Industry Innovation Programme in Estonia” and then submitted an application to Enterprise Estonia for a small grant for our development plan in order to prepare a full-scale R&D project. The preliminary project has been completed successfully. A grant was then launched and provided for the R&D project “Development of an Oil Spill Detection System based on information and laser remote sensing technology” (EU 46064). How was cooperation conducted during the programme? The aim of the project was to develop a new monitoring system, which would allow for detecting and assessing water pollution, and sending environmental risk data at an earlier stadium than the current monitoring systems enable, along with classification and forecast capabilities. 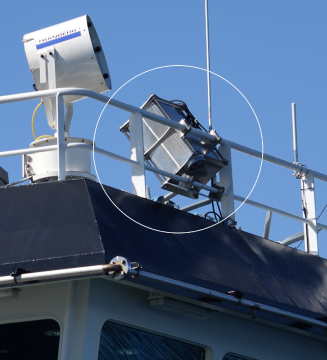 When also incorporating vessels that control marine traffic, this would form a monitoring network for oil refinery and storage facilities, maritime waterways and harbour areas. LDI Innovation designed the world’s smallest hyperspectral imaging system (LiDAR), which collects and analyses real-time pollution data. The ICD team developed a multi-layered and multi-sensory information platform to connect with Network Operation Center (NOC), save cloud data and issuing warnings in real time, in order to facilitate decision-making in emergency situations. 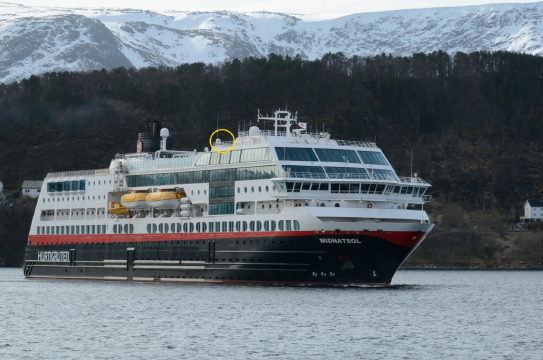 As a result of the project, a prototype of a fully automated sensor and information system was completed and tested during 2014–2016, on board seagoing vessels in the Norwegian Sea, Barents Sea, Baltic Sea and Caribbean Sea. What results have you achieved through participation in the programme? 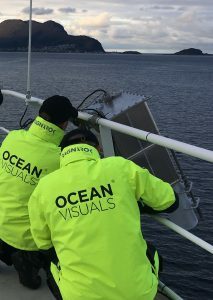 In 2015, a joint enterprise called Ocean Visuals AS was founded by LDI Innovation and ICD Industries (currently Industries Holding); the headquarters of Ocean Visuals AS is in Ålesund, Norway, and its subsidiary is located in Tallinn. As a development of the project, the project range of Ocean Visuals now includes Oil-in-Water Locator (OWL ™). The technology has been patented (the patent has been issued in the U.S., an EU patent is pending) and OWL ™ systems have been used in Norway as of 2016. The company is currently working on developing an Elf-OWL ™ product family version for drone operations.